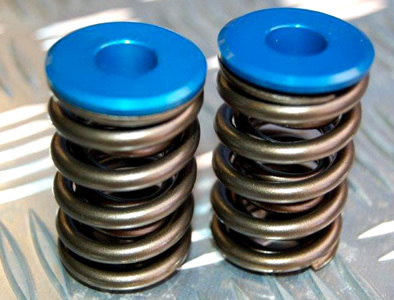 Ferrari 430 (Challenge or not) replacement for the troublesome hydraulic cam followers, these solid bucket and shim type cam followers, and a custom designed valve spring, will cater for high rpm and higher valve lift as required. 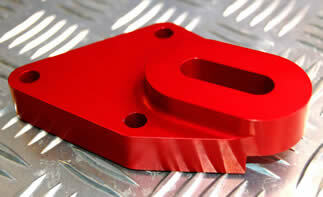 Ferrari 308 distributor housing, billet machined, can be anodised to your required colour or clear. A straight replacement for the hard to find original item. Ferrari 308 cam belt tensioner mounting. 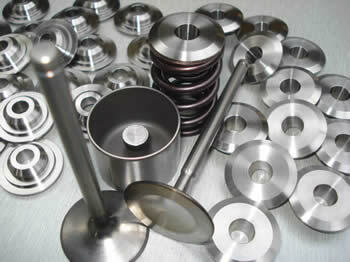 These billet machined items replace the standard cast object that are well known to crack, and then break. Normally that failure will lead to a cam belt failure and the total destruction of your engine. Don't take the chance, fit our replacement bracket that will not break. Ferrari 308 2valve cam belt pulley, infinitely adjustable cam timing with our "vernier" cam pulley, slide and clamp style gives any cam timing that you need. 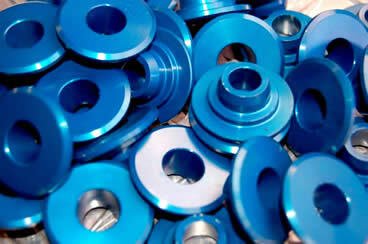 Hard anodised so they don't wear out. Not really "vernier" but you know what we mean!!! Ferrari 308 poly vee belt kit, replaces the single V belt pulleys that run the alternator and water pump with a far more reliable PK6 belt and the three pulleys. Won't jump off like the standard item, doesn't need to run mega tight like the standard item, won't sqeal!! Ferrai 308 electric water pump. Get rid of the water pump belt and the standard water pump completely and run an electric water pump instead. 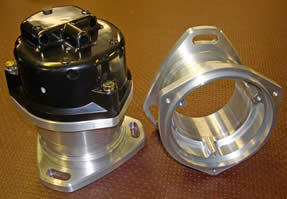 The motor is from the very reputable USA supplier; Meziere, the machined parts are our own CNC billet bits. Can be ECU controlled or it can run from the water temp sensor even after the engine is turn off. Ferrari 308 mains caps in billet L168 military spec alloy. To replace or upgrade the mains caps in any 308/328/348/355/360. 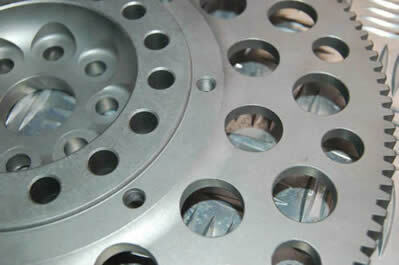 Damaged crankcases can be rescued or for the ultimate race engine. 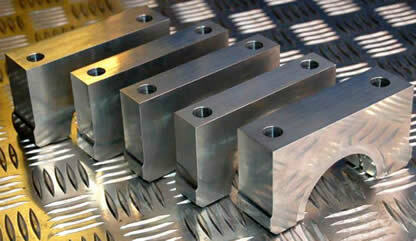 These will need to be line bored to suit your crankcase, we can do that for you if required. Ferrari 308/328 upgraded head studs. Roll formed threads from MP35N the ultra high tensile strength steel (>2000Mpa) as used in F1, these studs will replace the standard items with the top thread at m11 x 1.25 as standard, the bottom thread is M16 x 1.5 for increased load. Again the crankcase will need to be machined for these, and we can do that for you on our CNC machining centre to a high degree of accuracy.